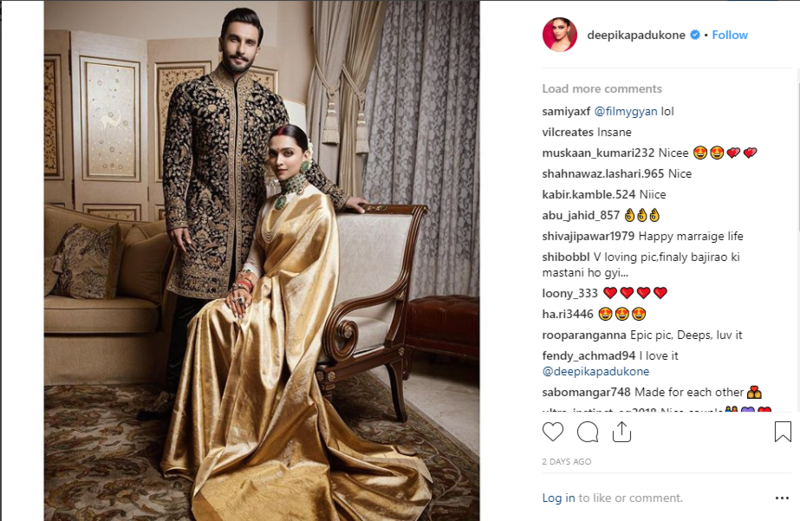 This is the wedding season and we already have the most magnificent celebrations going on of our favourite B-town couple. 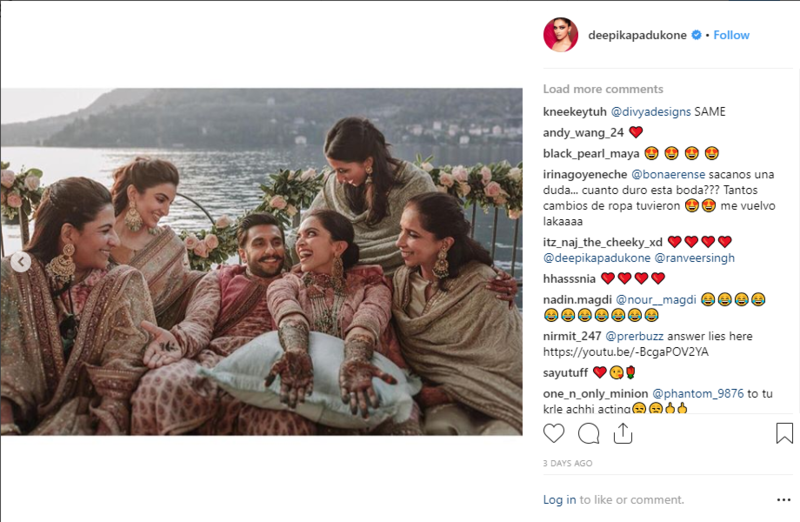 Post their wedding, more photos have resurfaced on social media, making us swoon over the adorable duo, their exquisite ethnic looks, and not to mention, their chemistry. 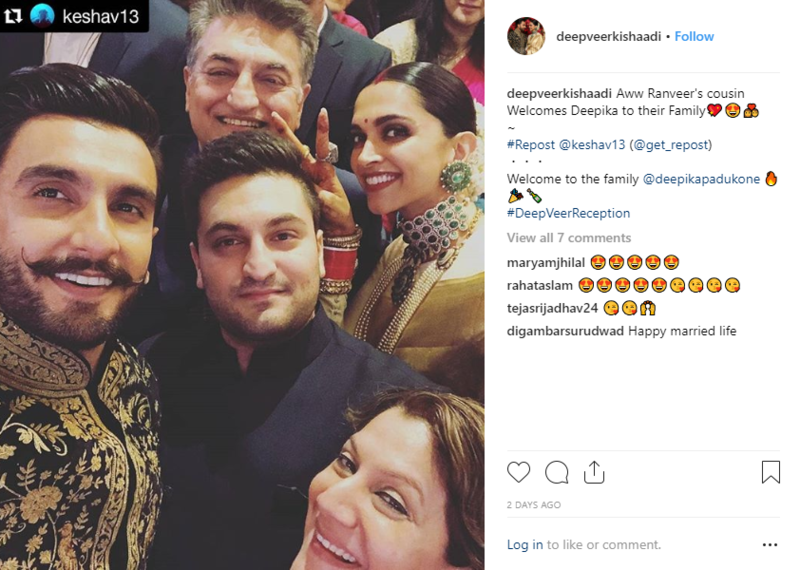 The newly married Deepika Padukone and Ranveer Singh finally came back from their grand wedding in Italy to host a regal reception in Bangalore. Held at the Leela Palace, the reception was an extravaganza of prominent guests, beautiful décor and the newlyweds looking like royals. 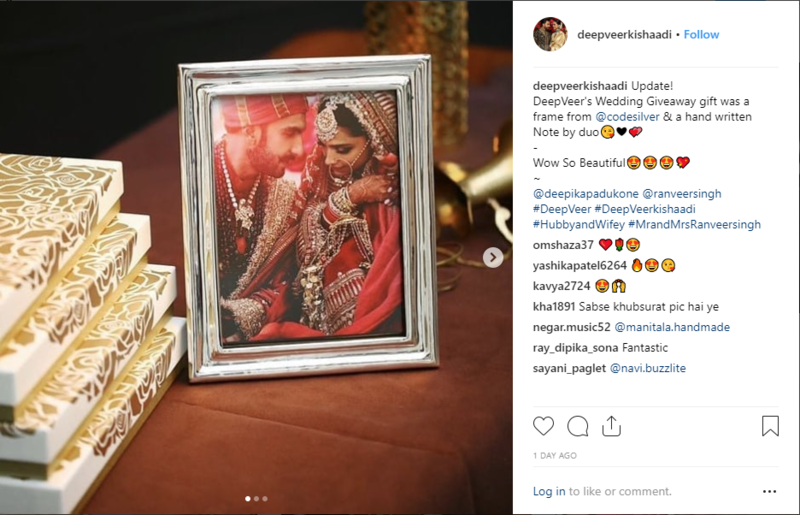 Here are a few recent posts that have been going viral on social media, making this couple, once again the newsmakers of the week! Here’s a photo of the couple’s Mehendi ceremony. This is their wedding giveaway – a lovely photo of the duo in a silver frame. 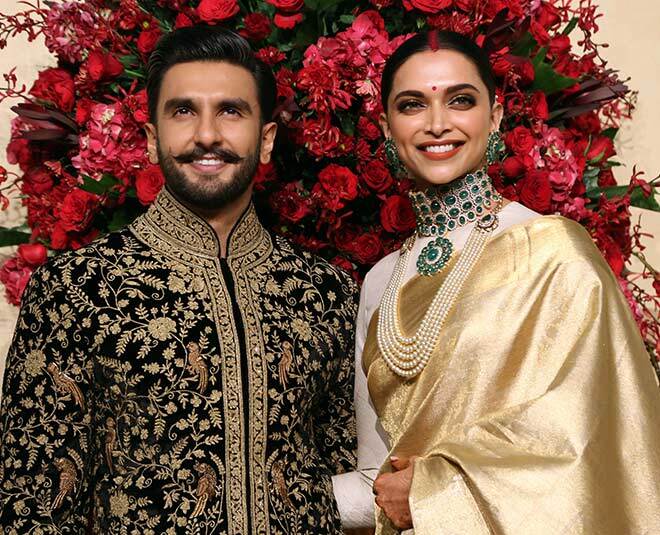 Dressed in regal ensembles in black and gold, Deepika and Ranveer looked nothing less than royalty. A complete family photo of the couple with their respective family members. And no photo session is complete without a groupfie!